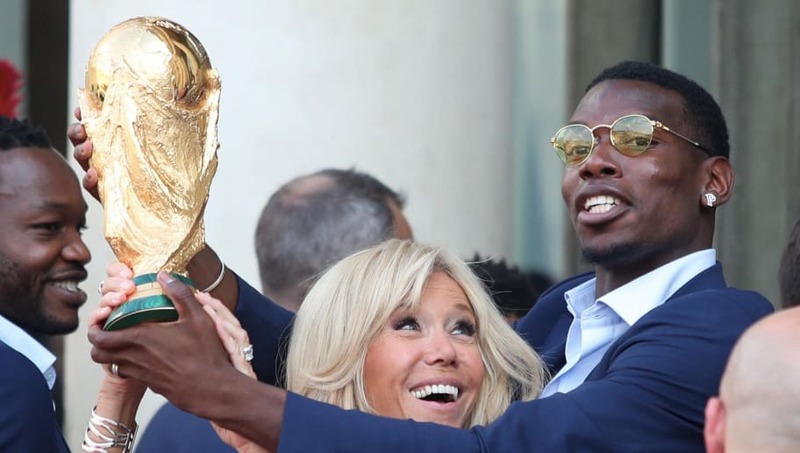 France centre back Adil Rami has praised teammate Paul Pogba over his performances at this summer's ​World Cup. The ​Manchester United midfielder (who has spent the last few seasons at Old Trafford receiving heavy criticism) played an integral role in Russia, and was a huge factor behind his nation's triumph. Sunday's victory over Croatia at the Luzhniki Stadium handed Les Bleus their second ever World Cup trophy - 20 years on from picking up their first. And now Rami, who spent much of his summer watching from the sidelines, has explained the importance of Pogba's more pragmatic game than what we're all used to. ​"I can tell you that Paul Pogba, I don't know how and I don't know from where, has become a leader. He proved it to us, he showed it," explained Rami, speaking with L'Equipe. "He's a technical player, he has a lot of talent. He was able to battle defensively. Everyone loves players who do tricks, nutmegs, flicks. I can tell you that Paul, today, became a leader. He's the one that showed the way. "Everyone expects nutmegs and stepovers, but football isn't that. You sweat, you give your body to the cause. There are matches where you have to roll your sleeves up. Some people have understood that and him especially. "He was the strong man of the France team. Defensively he helped the team. I could talk about everyone, but today, Paul showed maturity. Technique is good, but it's the attitude that is the most important." Graeme Souness and Mark Lawrenson must be fuming.